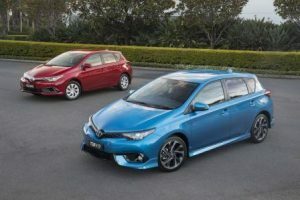 All new vehicles sold in Australia and surrounding areas MUST undergo testing to determine, in a level of stars up to five, how safe that car is. The higher the number and, ostensibly, the safer the car. The Australasian New Car Assessment Program is what is used and it’s a substantial overview of what makes a car tick the boxes safety wise. From January 1 of 2018, ANCAP changed the parameters in what they were looking for in categories. There are four key areas: Adult Occupant Protection, Child Occupant Protection, Vulnerable Road User Protection, and Safety Assist. First up is Adult Occupant Protection. ANCAP looks at the kind of protection, the kind of safety, offered to the most likely passengers in the front and second row seats of a car. They look at offset impacts, side impacts, whiplash injuries for front and second row, Autonomous Emergency Braking in a city setting, and rate the categories appropriately. Full width and frontal offset are the highest for adults, with a score of 8 being applied along with 8 for Side Impact and Pole (oblique). That last one is not uncommon, as it’s been found that drivers looking at an object in a crash situation have a higher tendency to impact that object.To achieve a five star rating for Adult Occupant Protection, the areas must achieve a total of 80% of the possible maximum score of 38. 80% is also the minimum requirement for the Child Occupant Protection, which has a maximum score of 49. There are just four margins here, Dynamic (Front) at 16 points, Dynamic (Side) with 8, 12 points for Child Restraint Installation, and 13 for On Board Features. On the star rating, Adult Occupant and Child Occupant both have 80% to reach five stars. 70% is four stars, 60% for three stars, 50% for two stars, and 40% for just one star. Vulnerable Road User Protection and Safety Assist have 60% and 70% respectively. Vulnerable Road User Protection takes a look at Head Impact (24 points), with 6 points apiece for Upper Leg Impact, Lower Leg Impact, pedestrian related AEB (Autonomous Emergency Braking) and cyclist related AEB. The specifications here are about looking at frontal designs of vehicles; will it mitigate injury to a pedestrian and/or cyclist, and will it overall mitigate or avoid impact with pedestrians and/or cyclists? The final sector, Safety Assist, measures the amount of safety features (the presence factor) and effectiveness of those systems. The current maximum score is 13, with 2020 moving that to 16. 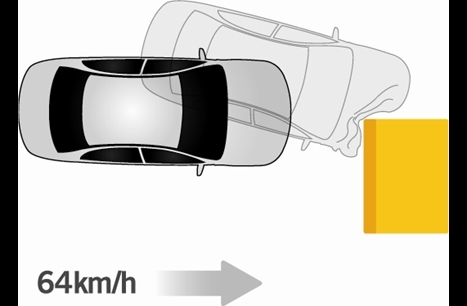 Speed Assistance Systems are rated to 3 points, Seat Belt reminders also rate as 3, and Lane Support Systems as 4. AEB in an inter-urban environment is current 3, with that increasing to 4 in 2020. A new category, Junction Assist, with two points, comes in next year. AEB systems use camera, radar and/or lidar technology to detect the speed and distance of objects in the vehicle’s path and automatically brake if the driver does not respond in order to avoid or minimise the severity of a crash. Over 100 different AEB test scenarios form part of our assessment with a vehicle’s ability to autonomously brake at lower city speeds (AEB City); at faster highway speeds (AEB Interurban); at stationery vehicle targets; at moving targets; and at braking targets all taken into consideration. Vulnerable road users are also considered, with collision avoidance testing undertaken to encourage and determine the effectiveness of more sophisticated AEB systems, detecting and preventing or minimising collisions with pedestrians and cyclists (AEB VRU) – at daytime and at night. Scores achieved in each physical and performance test feed into the respective area of assessment. The overall star rating of a vehicle is limited by its lowest performing area of assessment. Kia’s once large sedan contender has been overshadowed by the Stinger, itself an excellent and vastly underrated vehicle. The Optima, though, remains the hidden gem in the bigger sedan family and the updated 2019 Kia Optima Si still impresses. The test car provided comes at a cost of $33,390, paint at $595 for premium paint, making the test car $33,985 plus on-roads. 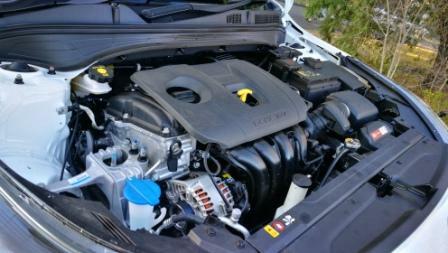 Power comes courtesy of a naturally aspirated 2.4L four for the Si or a turbocharged 2.0L four for the GT. Peak power is 138kW at 6000rpm, with peak torque a reasonable 241Nm. That comes in at 4000rpm, with a steady curve to there from idle. 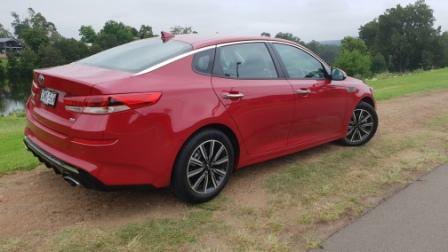 Powering the front wheels via a six speed auto that’s been slightly recalibrated for 2019, Kia quotes a combined fuel economy figure of 8.3L/100km from the 70 litre tank inside the 1540kg (dry) Optima. 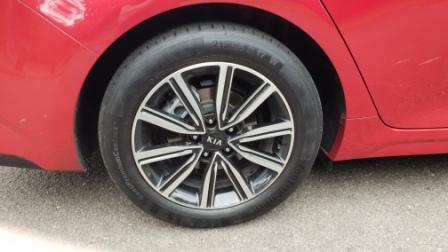 Rubber is from Continental, with Kia specifying their ContiPremiumContact5 at 215/55/17. 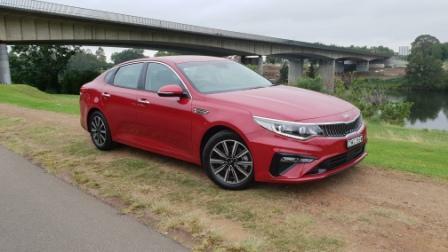 It’s a grippy choice, with the front driven Optima making good use of the tyre’s adhesion. During the week’s review period, Sydney had both summer and winter driving conditions. The Continental rubber powered through both with equal levels of confidence. They also coped with the Si’s propensity to torque steer, an unusual sensation in an age where that quirk of front-wheel-drive cars is almost non-existent. Suspension is the proven combination of MacPherson struts up front and a multi-link rear. 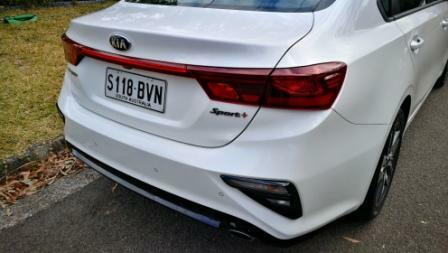 The suspension has been massaged for the 2019 Optima, with the dampers erring towards the sporting side, a choice that sporting drivers will enjoy. Others may find that a little too severe. 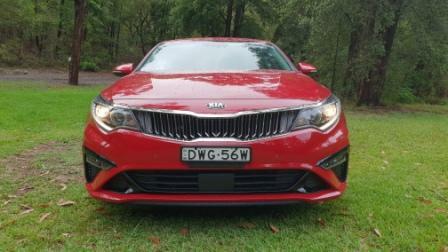 Indeed, on Sydney’s mix of unsettled and undulating roads as opposed to the new and smooth tarmac found in roadworks, the Optima Si had no issue in equalising both into a comfortable and composed ride. The only time PF semi-wished for a softer setup was over the bedamned shopping centre and local residence speed restrictors. The setup provides a nimble and communicative chassis. Steering input is received and processed quickly, with rapid changes of direction. Body roll is minimal, and the overall feel of the body is one of connection, not isolation from the road and its varying conditions. The steering is also relatively free from bump-steer. Overall drive response is perhaps also not for those that aren’t of a sporting bent. The throttle response is virtually instant, with a “light-switch” feel. 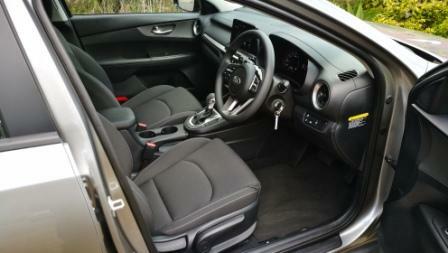 Tap the accelerator pedal and the engine engages instantly; go off, and it responds by damping down the revs quickly. It does take a bit of practice to get the smooth and progressive acceleration less responsive systems have. It’s a free revving engine, too, eagerly spinning around and bringing with it a steady rate of urge. It’s a tad buzzy past 4000rpm but that’s a rarity in seeing those numbers in normal driving. 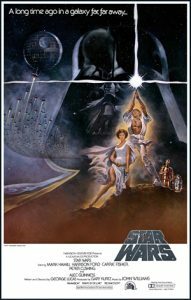 The transmission is a simply gorgeous piece of engineering, with invisible, seamless, changes. There’s no real sense of transition between ratios at all, with zero forward and back bodily movement as the cogs swap quietly and efficiently. 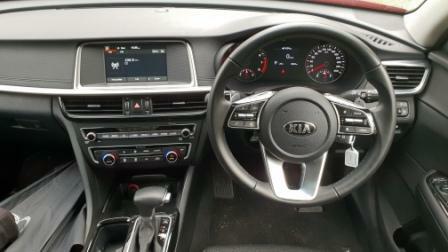 Kia’s efficiency in packaging is in abundance in the Optima Si. Inside the 4855mm overall length, (yep, just 8.4 centimetres shorter than a VF Commodore) is a 2805mm wheelbase. That’s just eleven centimetres shorter than the Commodore’s. This equates to ample leg room front and rear, a luggage space of 450L (SAE measurement, 510L VDA, and complete with full sized spare), and 1475mm shoulder room up front. 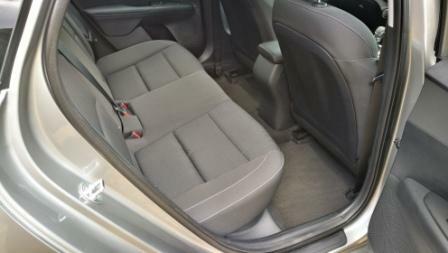 Rear seat passengers have 1432mm shoulder room and 904mm leg room. 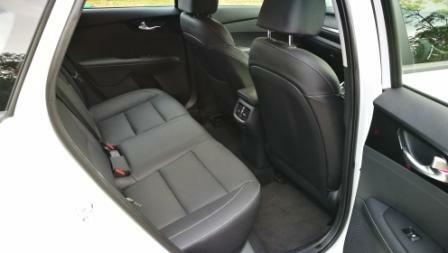 The Si has manually adjusted seats up front, with the driver getting a two position lumbar support seat. Cloth is the material of choice all round in the Si and all seats are comfortable enough to have passengers egress after a long drive feeling fine. 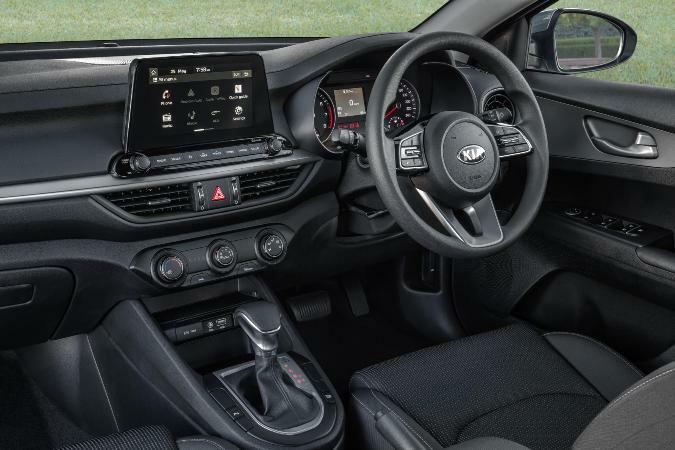 Kia’s worked hard to make sure the cabin is a good place to be, and the quality of the fit and finish is testament to this. The trim is black, with a leather look texture, and there are subdued uses of an alloy hued plastic. The Optima has the almost standard arch sweep at the upper edge of the dash., joining in one fluid line both sides of the cabin. Switch-gear is typically clinical Kia in layout and look. The touchscreen in the Si is a seven inch unit, the GT gets an eight inch setup. Audio is AM/FM only with no DAB tuner fitted to both. The Si also misses out on satnav. However there is Android Auto and Apple CarPlay with voice recognition, backed by Bluetooth streaming and the usual USB/Aux inputs. There are four cup holders and four bottle holders, map pockets, and back of seat pockets. 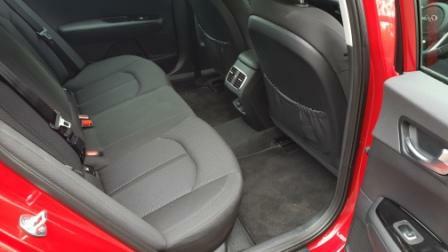 Rear seat passengers also have a pair of charging sockets and air vents. The exterior received a mild refresh in 2018. The Schreyer grille now has an almost Maserati look to it, and the lower front bumper has been reprofiled with the lower intake now more angled in towards the corners towards deep-set cornering lights. The familiar angled headlights retain their LED driving lights and commence a long, sweeping, line to join the rear non-LED lights in the Si. The GT has LEDs here. 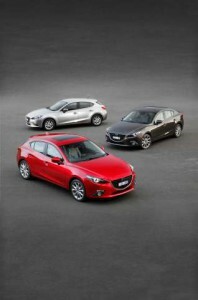 The profile is a handsome coupe style and the test car came clad in Temptation Red. Safety is naturally of a high level with a five star rating. Lane Keep Assist and Autonomous Emergency Braking are standard, with the Si not receiving Rear Cross Traffic Alert. Dusk sensing headlights are standard, as are a pair of ISOFIX seat mounts. 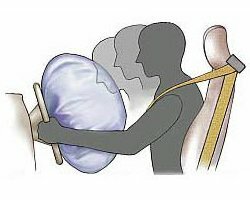 There are six airbags and the usual mandated safety equipment levels. Parking sensors front and rear take the edge off any parking problems in those tight shopping centre carparks. The seven year warranty is standard and Kia has a seven year fixed price servicing structure, with 15,000 kilometre or one year intervals. 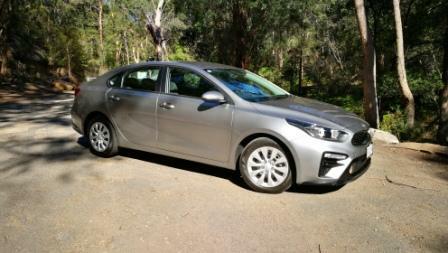 Year one/15,000 kilometres comes in at $289, with year four the most expensive at $559. The 2019 Kia Optima Si slides unhappily, it seems, into that niche of very good cars that are largely ignored by the buying public. Sedans on the whole are a class of car that were once loved but now sit, licking their wounds from an SUV mauling, in the shadows. The Optima itself, a handsome looker, a good drive, and well equipped, suffers from a number of factors in not having the sizeable presence it once had. Head to the Kia website for more info. 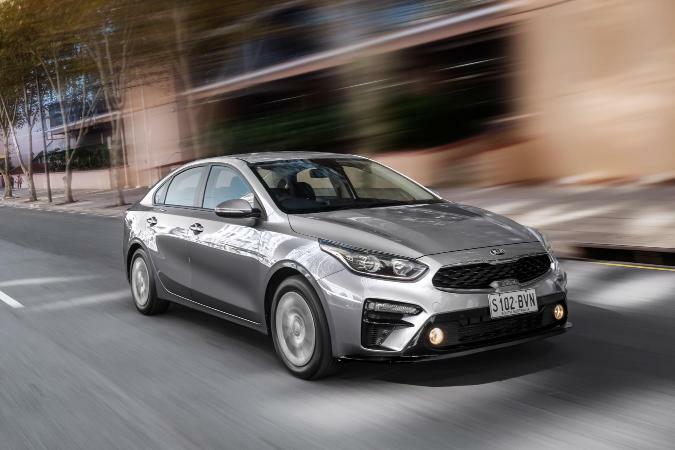 The evergreen Kia Cerato sedan has been given a pretty solid makeover, with the hatch due for its own tickle and release later this year, plus GT versions for both are said to be on their way. 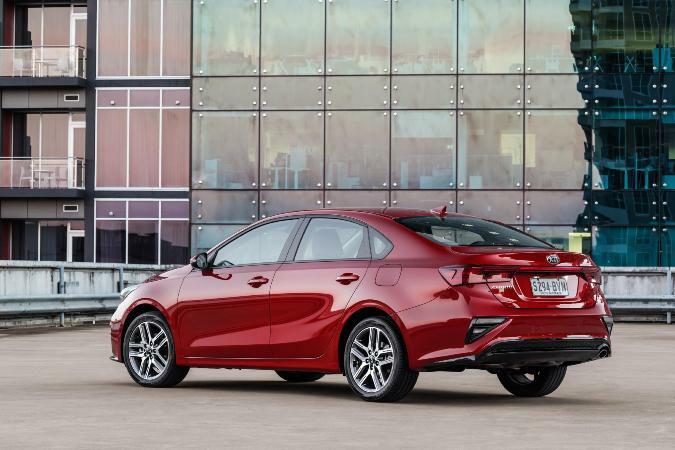 There’s also been a range realignment name-wise.. We have driven the Kia Cerato S, Cerato Sport, and Cerato Sport+. 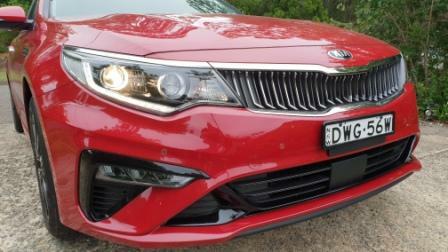 The Cerato S sedan starts from $23,790 plus on roads, as tested. The review car was in Steel Grey, a pleasing shade and a $520 option. The Sport was $25,790 plus on roads, clad in a gorgeous Horizon Blue, and the Sport+in Snow White Pearl came in at $28,290, plus on roads, and paint. 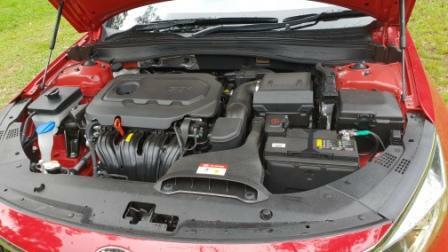 Servicing costs are for a fixed amount over Kia’s class leading seven year warranty, and top out at $2,869.00. There’s a good range of colours available but only one is classified as a non-premium colour… If you’re after a manual, you’ll find it in the Cerato S only. 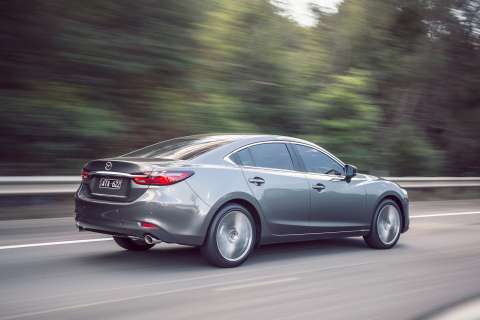 You’ll also find only a 2.0L injected four cylinder across the range, with six speeds, in both auto and manual guise, hanging off of the side for the engine. It’s a peak twist of 192Nm and power is 112kW. Rev points are 4000rpm and 6200rpm respectively and there’s a noticeable increase of oomph once 3000rpm is seen on the dial. As we drove the autos only, they’re pretty much all good in the transmission sense. It’s the engine that needs refining and smoothing. See 4000rpm on the tacho and there’s a noticeable harshness and noise. It’s a metallic keen that, although somewhat raucous, is really only ever apparent when a heavy right foot is used, thankfully. It’s otherwise quiet, pleasant even. It’s here that the auto shines. Seamless shifting when left to its own devices, it delights in its smooth and unhurried nature. Tilt the gear selector right, it goes into Sport mode, and when rocked forward and back, the changes are sharp and crisp. Acceleration in all three is enhanced by using Sport mode as the changes suit the characteristics of the engine’s tune. That engine tune helps in economy too. Kia says it’s 7.4L per 100L from the 50L tank for a combined cycle and a still too high 10.2L/100km for the urban cycle. Driven in a mainly urban environment with engines all under 3000km of age, we averaged under 7.0L/100km across the three. Road handling from the three was similar yet in one car somewhat oddly different to the others. 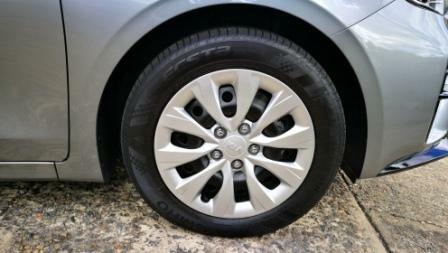 The Sport+ rides on the same tyre and rim size as the Sport. 225/45/17 is what’s bolted to each corner and the alloys look sensational. 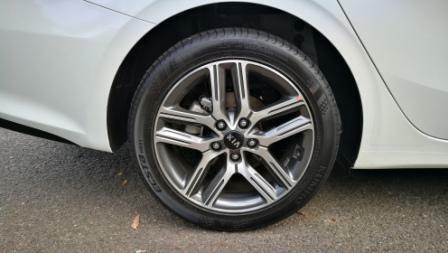 The S has steel wheels at 16 inches, with 205/55 rubber. The S and Sport are more akin in they ride than the Sport+, with the McPherson strut front and coupled torsion bar rear feeling tighter, tauter, and less composed in the Sport+. 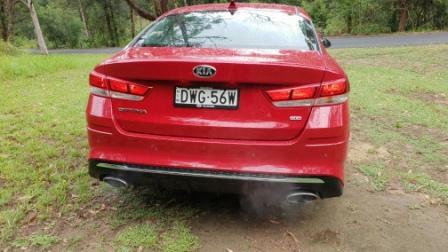 Long sweepers with minor corrugations had the rear step out, whereas the S and Sport were less inclined to deviate. In a straight line all three sat comfortably but the Sport+ was more the princess in the bed with the pea. Minor irregularities were magnified and enhanced in the Sport+, with just that little bit more unwanted pucker factor whilst sitting on its leather clad pews. Freeway rides are tied down, there’s little to no float, and road noise is minimal thanks to extra noise reduction materials plus NVH reduction engineering. Get funky in the tighter corners in the mountain roads and handling is predictable with steering nicely weighted. Boot it out of a corner and the steering loads up and there’s no tending towards lift-off understeer. 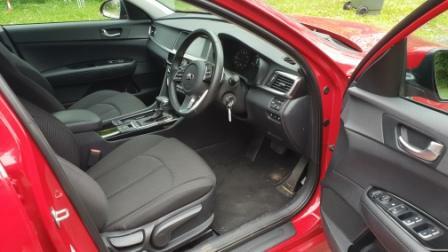 The S and Sport have cloth seats, manual adjustment, and no heating. The Sport+ has heating, no venting, and no powered front seats, an odd omission for a top of the range car. In fact, there’s really not a whole lot of difference between the three in some areas. 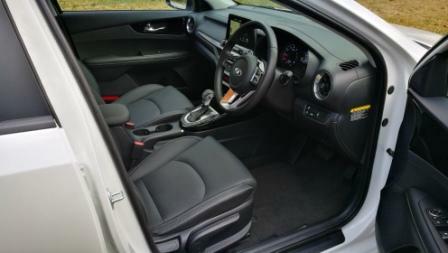 All have the drive mode choice of Eco/Comfort/Smart with Sport engaged as mentioned. 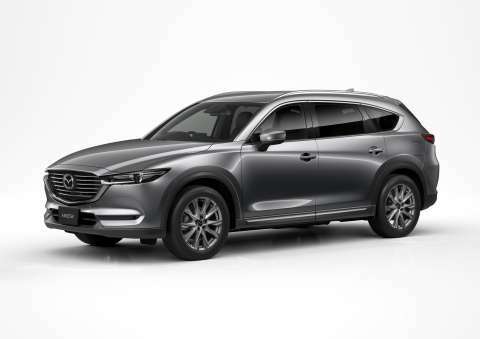 All have AEB with Forward Collision Warning – Car Avoidance, with the Sport+ getting Pedestrian and Cyclist on top plus adaptive cruise. All three have Android Auto, Apple CarPlay, voice activation, and Digital radio via the eight inch screen, with the Sport+ having the same dropout issues as experienced in the Sorento. 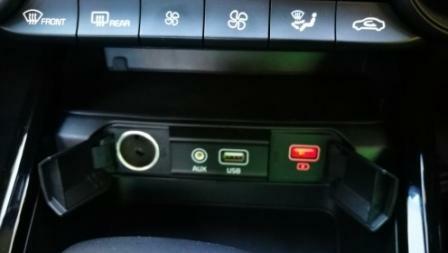 Climate control is in the Sport+, with “standard” aircon in the other two. The driver sees info via steering wheel mounted tabs on a 3.5 inch TFT screen between two standard analogue dials. 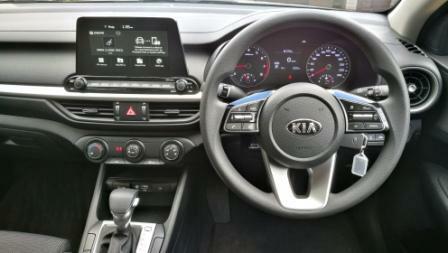 Perhaps here a LCD screen for the dials would help add cachet and differentiate the the Sport+ further. All three have Blind Spot Detection as an option, as do they have Rear Cross Traffic Alert as an option. These are part of two safety packs available at a $1000 or $500 price point. All other safety systems such as Hill Start Assist are common. The Sport+ gets an electro-chromatic (dimming) rear vision mirror, LED daytime lights, push button start, centre console armrest that slides, and folding wing mirrors. It’s also the only one with an external boot release on the car. That sounds like nothing important but when you’re used to pressing a rubber tab on the boot and not using the key fob, it’s not a smart choice. What is a smart choice is the redesign outside and in. 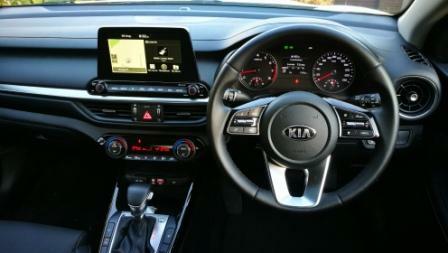 Kia’s gone with the Euro style touchscreen that stands proud of the centre dash and it looks good. 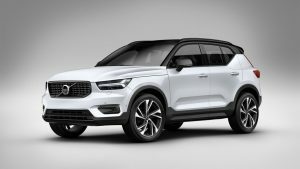 There’s turbine style airvents and the Sport+ has more brightwork around these and in the cabin than the Sport and S. There’s a pair of 12V and USB ports up front, with one dedicated to charging and the other for the auxiliary audio access via the smartphone apps. 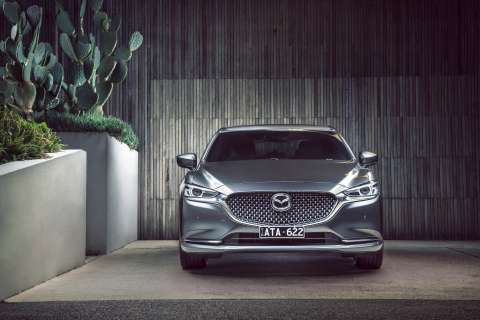 Although the front screen has been moved backwards, there’s no decrease in head, shoulder, and leg room for the 4.6m long sedan. 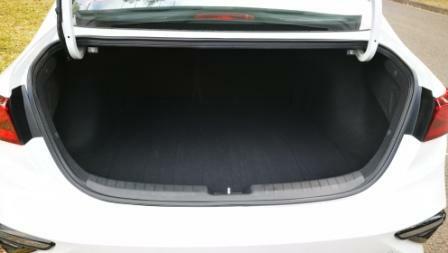 Boot space is, ahem, adequate, at 434L with a long and quite deep design, and the spare is a full sizer, albeit steel fabricated unit. Outside there’s been a major re-skin; the front screen has been moved by nearly twelve centimetres and the bonnet line has been raised. 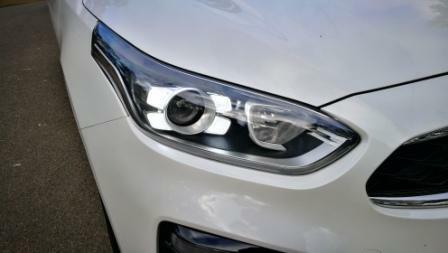 The headlight clusters flow backwards at the top into the guards, with a nod towards the Stinger in styling here. At the right angle, somewhere from the rear quarter, there’s more than a hint of a certain Japanese luxury brand too. Sport+ has LED driving lights in a Stinger like quad design around the main headlight. There’s angular vents at each front corner that house the indicators and the Sport and S have a pair of globe lit driving lights between. 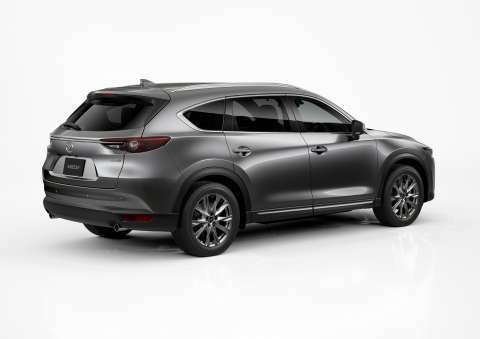 Rear end design has been revamped and there’s beautiful styling to the tail lights, flanks, rear window line, and an integrated lip in the boot lid itself. Reverse lights have been moved to a triangular housing in the lower corners, echoing the front and again harken to a Japanese brand. It’s a handsome and well balanced look overall. Warranty is Kia’s standard seven years and there is 24/7 roadside assistance available as well. 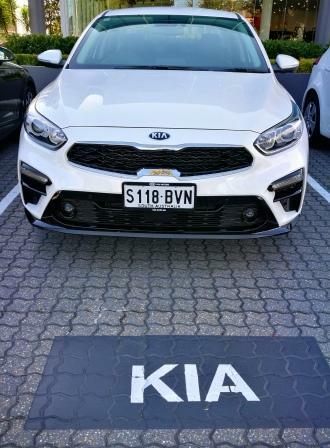 Kia’s growth curve is strong. Its building vehicles with a good feature set, with high quality, and quietly doing so with gusto. 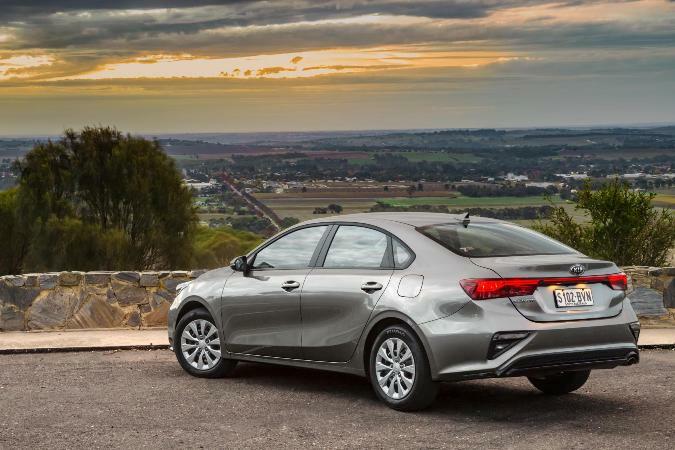 The Cerato sedan, the latest in a range of cars that DOESN’T include a four wheel drive capable ute, is commendable for both its very good looking sheetmetal and high levels of standard equipment. 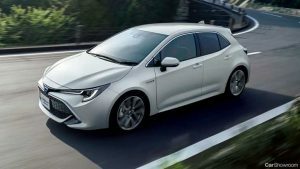 What initially looks like oversights in some areas is potentially a pointer towards what will come in the Kia Cerato GT. As it stands, though, a weak link is the engine. It doesn’t feel smooth, slick, and quiet enough at revs, and for a naturally aspirated 2.0L petrol engine nowadays, a peak power of 112kW really isn’t advertising friendly. It’d be nice if the torque was available at a lower figure or if there was more of it, but for the average buyer, the main concern would be the rare occasion they’d venture into plus 3000rpm territory. Frugal is the word that stands out here too. 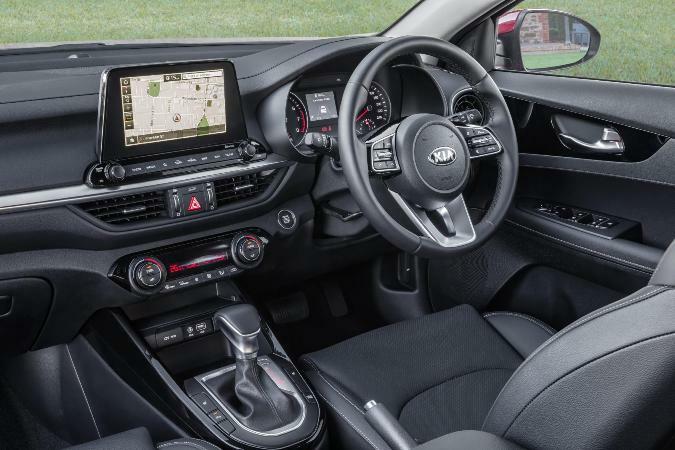 So bundle a good looking sedan with good petrol usage in with sharp sub $30K pricing and that feature set, and Kia is kicking goals. 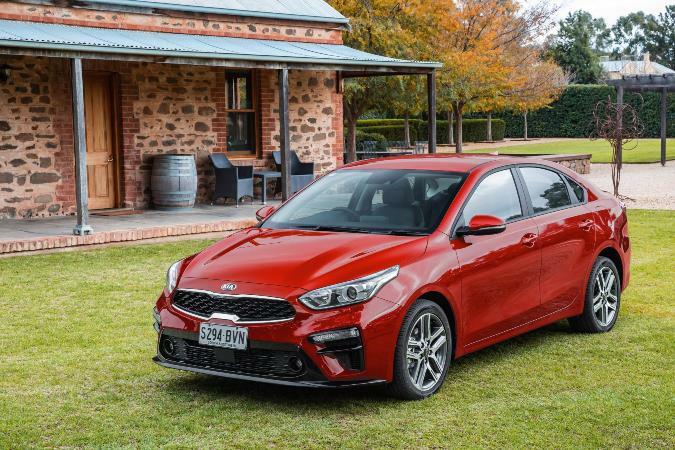 Kia Australia’s Cerato for 2019 is available now. Mitsubishi has come out on top in a best value study looking at running costs. 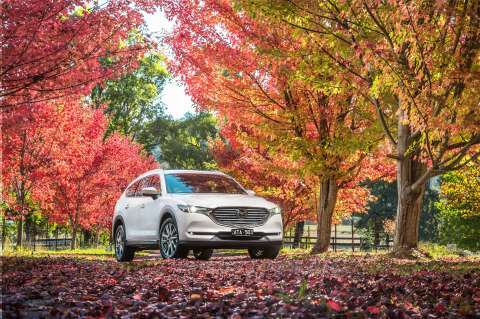 According to data issued by the RACV, the Triton GLX in two and four wheel drive configuration, the big Pajero Sport GLX, the smart-tech Outlander PHEV LS and Mirage ES all recorded the lowest running costs per week in their respective segments. 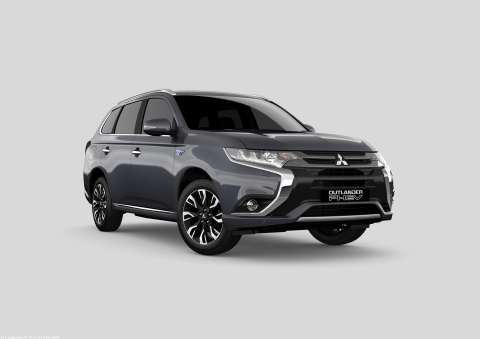 This ensures that the Mitsubishi range extends its value-for-money appeal long after a customer leaves the dealership. 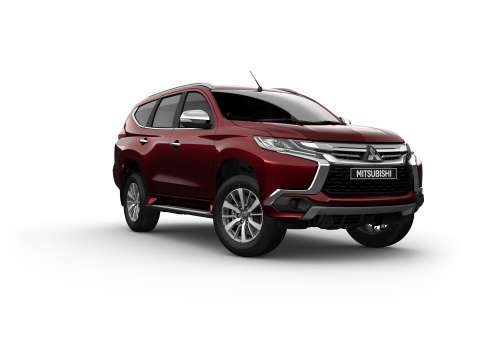 In the All-Terrain SUV category, the Pajero Sport GLX achieved the best-in-class result. 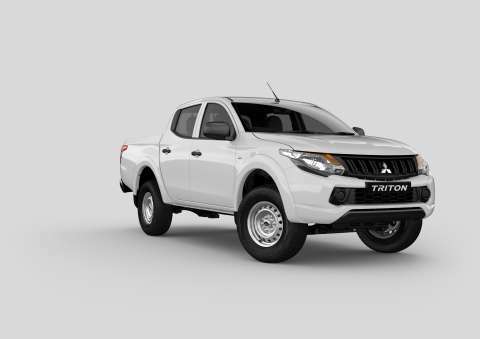 Running costs averaged $237 per week, with the Triton GLX suggesting owners can enjoy less work and more play. 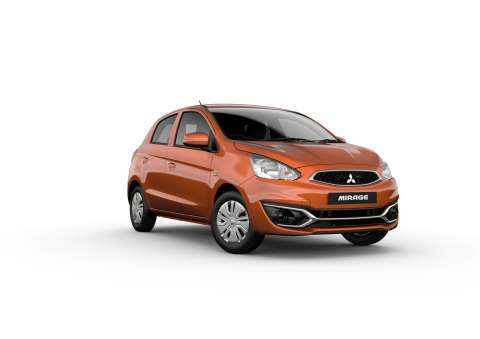 It averaged running costs at just $210.99 per week for the 4×2 and $225.95 for the 4×4 drive-train.Mitsubishi’s small car, the Mirage ES, offering the lowest average running cost of just $108.78 per week. Sitting nicely in the mid-sizer SUV segment is the Outlander PHEV LS. This comfortably led the running costs charge in the EV segment at $259.22 per week. The annual running costs study assesses the cost of ownership of more than 100 vehicles in all segments over the first five years including list price, on road costs, depreciation, fuel and servicing. Costs may vary from state-to-state. Check with your local dealership for their prices then have a chat to us here at Private Fleet.